The first part of this series will examine the changes this bill makes with regard to self-defense in your own home. The second part, to be published later, will deal with changes in self-defense outside the home. These bills, quite simply, are an attempt to regulate the aftermath of self-defense shootings. In many states, such as Ohio, there is a convoluted and burdensome process to establish a shooting as “self-defense.” Since it is easiest to examine what these changes are all about by example, let’s begin by looking at a self-defense shooting in Ohio. 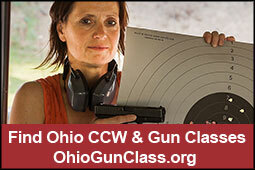 In Ohio, if justified, you claim the affirmative defense of self-defense in a shooting. It is important to understand the concept of an “affirmative defense.” It means you are not really contesting that you committed actions that are defined as “criminal;” rather, you are stating that your actions were justified. This is critical to understand, because the burden is ON YOU to prove your case. It is not up to the prosecutor to prove you were not acting in self-defense. It is up to YOU, AT YOUR EXPENSE AND UNDER THREAT OF IMPRISONMENT, (and sometimes while actually imprisoned) to prove you were acting in self-defense. Think about that for a minute. The prosecution has to prove almost nothing in a self-defense trial, the burden is upon the Defendant. (Get used to that title.) A self-defense trial is not about whether you did x, y and z. It is about the Defendant proving s/he was justified. We are taught from elementary school onwards that, in America, you are presumed innocent until proven guilty. Doesn’t it sound like the burden has shifted slightly in self-defense cases? So, in Ohio, if someone kicks down my front door, runs up the stairs and tries to grab my daughter out of bed and drag her out of the house, I have two categories of choices: 1.) I can let the bad guy go, call the police, hope my dogs scare them off, try to tackle/wrestle him, beg/plead, use a squirt gun full of lemon juice or some other half-measure, or 2.) I can use my gun, then have to prove to a court’s/jury’s satisfaction, at my own expense, probably after a jail stay, or perhaps while in jail, unemployed, awaiting trial, that what I did was reasonable under Ohio’s self-defense test, hoping that at the end of the day I walk out of the front door of the courthouse, rather than out the backdoor, in handcuffs. Should a family should have to make a choice between losing a daughter or risking losing a parent to our legal system? This is the first important change this type of “Self-Defense Bill of Rights” law makes. If someone kicks down my door to drag off my daughter, or otherwise enters my house with violent intent, they are LEGALLY PRESUMED TO BE THERE TO CAUSE ME SERIOUS PHYSICAL HARM OR DEATH. No more burden on the homeowner. The burden is placed back where it belongs: on the bad guy. As long as there are not any extenuating circumstances, the case ENDS and the healing begins at that point. No hauling off to jail. No worries about criminal trial and the whims of a jury. No civil suit from the bad guy’s family. It should be noted that these laws are properly structured to make sure that they are not abused. You can’t shoot someone who lives in that house and enjoy the presumption in your favor. You can’t invite someone in, shoot them and claim the protection of the law. You can’t ignore a scenario where the bad guy clearly has acted inconsistent with the presumption against him, such as running away out your front door, and be protected under the law. Isn’t it more reasonable to put the burden back on the bad guy?